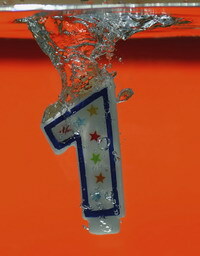 Today is our anniversary! 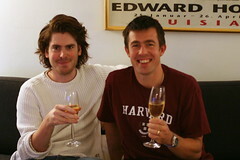 One year ago, on this day, Jesper and I sat down in the office to chat. It was Friday and we quickly started talking about our favorite subject: What could we do to raise awareness of usability and web standards inside Capgemini? We discussed the ups and downs of newsletters, meetings, knowledge sharing groups, wikis and blogs. We talked about if we should share our thoughts with the whole world or if this should just be another one of those “Capgemini-eyes-only” things – Well, to make a short story long, we fairly quickly decided to share our thoughts with the whole world and start a blog – well it was also the hot potato at the time I guess … it still is ;). I had some leftover domains from the dot-com era and asked Jesper if we could use justaddwater.dk as our base of operations – he quickly agreed. A slogan, a WordPress installation and a quick shopping spree over at iStockphoto later we where settled, and so it all started with a statement in our First Post. Later on we went back and revised our blog purpose. This has been a very exiting journey. We have been all over the world (well USA, UK and India to be precise – but it sure feels like it). In the process we’ve ended up meeting a lot of very friendly people (both IRL and online), and this has definitely been the best part of the experience. It wouldn’t be the same without Dan Webb, David Black, David Heinemeier Hansson, Eric Reiss, Jakob Nielsen, Jakob Skjerning, Jared Spool, Joe Clark, John S. Rhodes (I heard from Jesper that your wife is pregnant – Congratulations! ), Line Pedersen, Luis Villa, Obie Fernandez, Olle Jonsson, Steve Krug, Thomas Madsen-Mygdal, Thomas Visby Snitker, Trine-Maria + many, many more (this list is far from complete!) … and not to forget, of cause our boss Jacob Strange (you need to get a blog!) who lets us blog and fool around with new and exiting stuff in Capgemini. Since we started tracking with Google Analytics we’ve had about 25,000 visitors, with a combined average of about 75 per day. The last half year that number has been closer to about a 100 unique visitors per day. 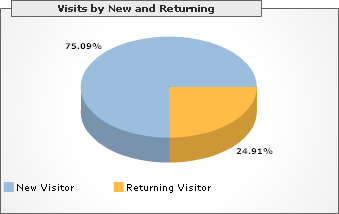 As the graph clearly shows, over half of our audience is using Mozilla Firefox (56.45%). Next comes Internet Explorer by Microsoft with 29.39%, Safari by Apple with 6.60% and Opera with 4.57%. The long tail includes Camillo, “Mozilla Compatible Agent”, Konqueror, Netscape (still alive and kicking), Galeon, gzip, HTC-8100 and WebSpear. We have to thank Max Kiesler for writing his Round-up of 30 AJAX Tutorials. As the graph below shows this generated over 7% of all our traffic (not counting all the spin-offs!). 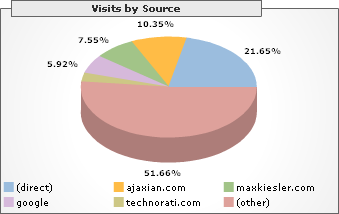 Besides that Ajaxian is responsible for over 10% and Google and Technorati provide us almost 9% of our visitors. This entry was posted by Thomas Watson Steen	on Saturday, October 14th, 2006 at 17:53 (GMT-1)	and is filed under Blogging, justaddwater.dk, Web Statistics. You can follow any responses to this entry through the RSS 2.0 feed. Both comments and pings are currently closed. Congratulations – I still like the story about sharing knowledge with the world a lot – and I do hope to see more of both of you soon! Happy birthday indeed. You blog is definitely an inspiration – not only from the content, but also that it illustrate the power of using a blog to create awareness – internal and external. Excellent blog, guys. Keep up the great work. Jesper, it was awesome to meet you in person! No really, this is good stuff!